I’m certain I’ve mentioned before that my memory tends to be foggy going back to my childhood; but what I haven’t mentioned before is that I remember when my memory “switched on.” Coincidentally, I was about five years old at the time and we got HBO piped right into the living room television at our suburban Detroit home. When the guy finished installing it, he cranked the television’s VHF dial over to channel five and I sat down to watch Popeye – the movie, that is. 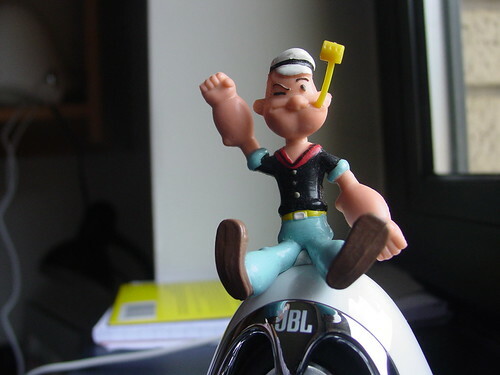 Popeye was a hero of sorts, with his spinach-eating, muscle-growing ways; one wonders what kind of anabolic steroids they laced those spinach cans with in the 1950’s. But I wasn’t so enamored with him that I would look up to him as a role model. 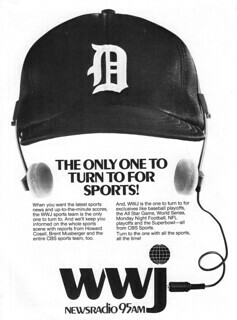 That year was an awesome year for the Detroit Tigers; Sparky Anderson and some of the best baseball players of the day, including Lou Whitaker, Kirk Gibson, Lance Parrish, and Alan Trammell took the team all the way to second in the league. I remember watching a lot of baseball at home that year, but nobody had told me I was supposed to have a hero, somebody to look up to and try to emulate, so I guess I didn’t know any better, and thus not a single Tiger made the cut. Because what is a hero anyway? I mentioned role models, people we look up to, that we emulate, whose accomplishments we aspire to achieve in our own lives. Is that a hero? Because if so, I don’t think I had one when I was five. I wasn’t concerned so much with being like anyone else, I was more concerned with my five year-old pursuits: watching this on TV, playing with that toy, trying to avoid punishment when I did something that made my Mom angry. What do you think? What happens when kids don’t have heroes or don’t know that they should want to be something more than what they already are? In what directions do you think their lives would go? This post was prompted by the Daily Post prompt of 10JAN2014. I didn’t get a chance to finish it until just now, so I’m dropping the issue and moving on with my life. Daily Prompt – Hero. | My Beautiful Messed Up World. First Hero | Dreams to Reality ! Heroism and Moving Forward.. | Life Objectified.